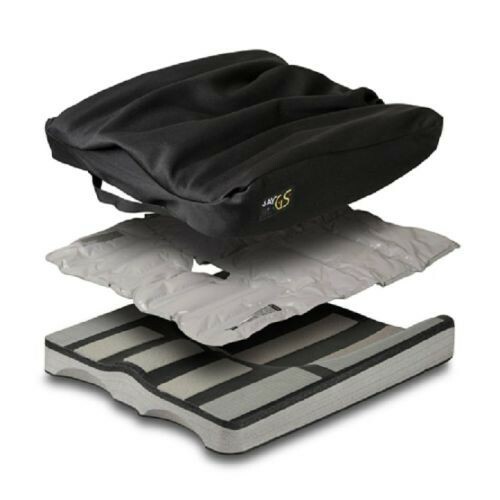 The adaptable JAY GS Cushion is perfect for all stages of development from children to young adults. In the early stages, the GS Wheelchair Cushion is perfect for the child to sit in the large well base. As the child grows, the foam base can be adjusted by extending the depth by three inches adding more room for longer legs. By adding two inch positioning components, the cushion can continue to support a child into young adulthood. 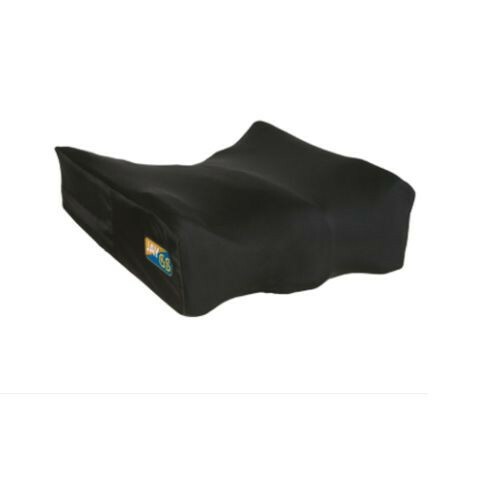 The components easily secure to the foam base with loop-sided VELCRO and include shelf extension, lateral pelvic supports, lateral thigh supports and medial thigh supports. In addition to its versatility, underneath the foam layer sits a JAY Flow Fluid Insert. It moves and conforms to each individual's shape adding comfort and protecting bony prominences to prevent skin breakdown. 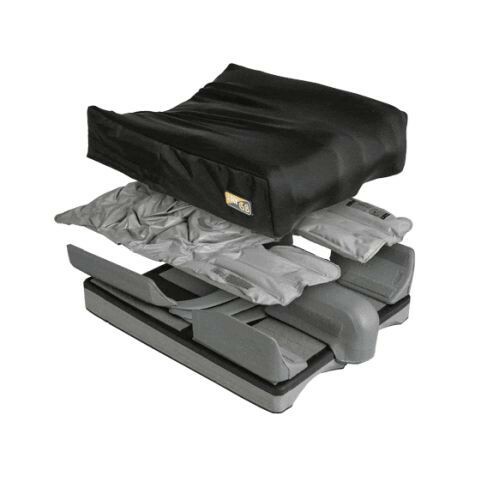 Lastly, the wheelchair cushion is fully protected with the JAY dual-cover system. This means low maintenance and easy cleanup when spills happen. The top cover is machine-washable and is made with X-STATIC fiber for anti-microbial protection. To create airflow, a 3DX spacer fabric is integrated underneath the cover so heat doesn't build-up and become uncomfortable. The foam is fully protected in an inner cover enforced with Aquaguard™ and anti-wicking X-static silver thread stitching to maintain the foam's integrity. The waterproof construction makes messes seem trivial and cleanup a breeze. Simply remove outer cover, toss cover in the wash and wipe off the water-resistant inner cover.